Paramount Enterprises: OneStop Solution For Resistance Welding WeldParts In India. 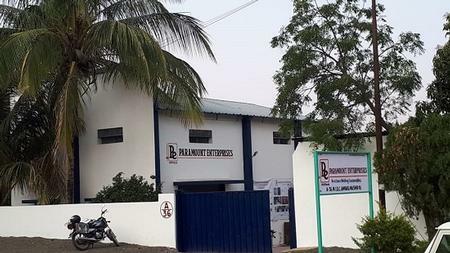 Brand PARENTNashik backed by Paramount Enterprises, Nashik, answering strong demand for resistance welding consumables, spares and weldparts in mostly automobile industries, today announced plans to expand in Nashik by opening its owned another business center to be located at Plot No.A-36, Ambad MIDC, Nashik-MH, India. The unique 10,000 square foot PARENTNashik facility will help to add more advanced technology machining center and enhance production capabilities. The factory is scheduled to start operation from Jan 1, 2019. PARENTNashik is equipped smartly configured floor plans designed to promote worker productivity in a collaborative environment. The factory will be including fully-equipped advance technology CNC, VMC, Gun arm bending facility, 3D busbar manufacturing set up, front office with sales & marketing team. By providing everything from workstation designing & development of the product, integration of old spot welding spares to modern design, companies will be able to preserve capital and keep overhead to a minimum, while focusing on enhancing their core competencies. “We are excited to help to European customers especially leading car manufacturers like General Motors, Honda,” said Sneha Patil. PARENTNashik is a brand to help you find resistance welding consumables, weldparts spares, projection welding electrodes at OneStop for your spot welders and robotic welding backed by the manufacturer – Paramount Enterprises located in Nashik – India.